Make it easier for visitors, stakeholders and shareholders to view your financial information on your website. Would you like your stakeholders to be easily able to subscribe to your news? We offer customizable subscription solutions that make it easy for website visitors to subscribe to your financial information. They can tailor what they are interested in based on the language and type of information. With our share price graph and stock ticker, your company’s share price performance, comparison indices, percentage change and the number of shares traded can be displayed. The share price graph may be linked to other modules to provide contingent causal explanations for any rises or falls. For example, press releases, reports, total returns, insider trading activities and calendar events may be integrated with the graph. With this online solution, publication of insider trading in the company is automatically catered for. Information can be retrieved from the Swedish FSA register concerning insider transactions and automatically updated daily. 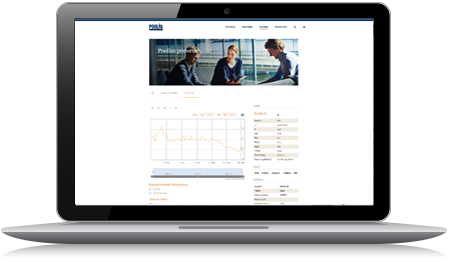 In collaboration with Euroclear Sweden, we offer a completely new web solution where information about shareholders and ownership structure is presented automatically, directly on the company’s website. 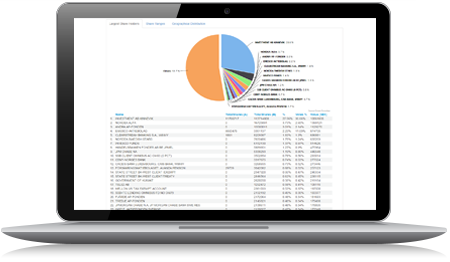 You can choose from a number of different ownership reports; for example, largest owners, size classes, geographical spread, etc., and can thus compose your own shareholder information. 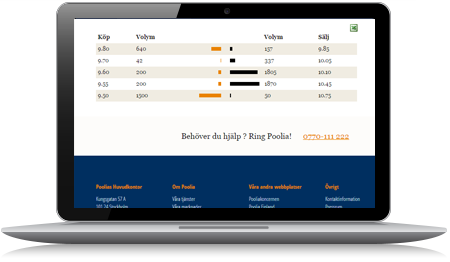 All data in the module is updated automatically on a monthly basis by Euroclear Sweden, provided that you as a customer have a monthly update subscription with the Euroclear analysis service. In cooperation with SME Direkt, Cision is able to offer professional information modules within which the market’s profit expectations are automatically presented directly on the company’s website. 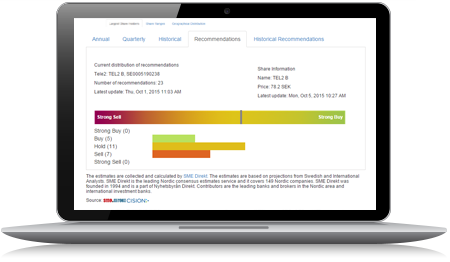 The service includes modules for the presentation of analysts’ forecasts of annual data, quarterly data and recommendations (buy, retain or sell) for a particular listed company. Updating of all data in the modules is automatically triggered by SME Direkt updates.